Since its debut at Disneyland Park in California in 1967, Walt Disney’s Pirates of the Caribbean adventure has thrilled hundreds of millions of guests from around the world. An immersive and engaging entertainment experience, it’s steeped in detail and rollicking pirate fun. It debuted as a technological marvel and storytelling masterpiece and, for decades, this award-winning attraction has been considered one of the pinnacles of theme park experiences worldwide. The original Pirates of the Caribbean attraction, which inspired a global phenomenon and launched a highly popular film franchise, celebrates its 50th anniversary at Disneyland on March 18, 2017. Both Captain Jack Sparrow and Captain Barbossa from the blockbuster films appear in the attraction and the ghostly image of Davy Jones appears on a waterfall. 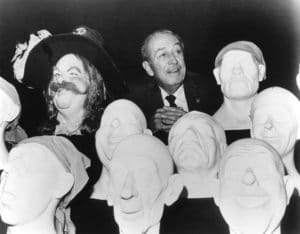 March 18, 1967 – Pirates of the Caribbean attraction has a soft opening for guests of Disneyland. 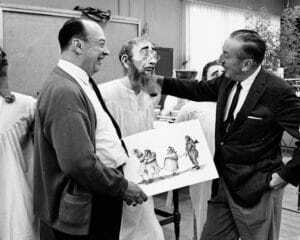 April 19, 1967 – Official Grand Opening ceremony of Pirates of the Caribbean attraction takes place at Disneyland. December 15, 1973 – Pirates of the Caribbean attraction opens at Magic Kingdom Park, Florida. April 15, 1983 – Pirates of the Caribbean attraction opens at Tokyo Disneyland Park. April 12, 1992 – Pirates of the Caribbean attraction opens at Disneyland Paris. June 28, 2003 – Disneyland hosts the premiere of “Pirates of the Caribbean: The Curse of the Black Pearl,” the first in a series of highly popular films inspired by the attraction. July 9, 2003 – “Pirates of the Caribbean: The Curse of the Black Pearl” opens in theaters. June 24, 2006 – Disneyland hosts the premiere of “Pirates of the Caribbean: Dead Man’s Chest.” Additionally, Pirates of the Caribbean attraction at Disneyland Park re-opens after a lengthy refurbishment in which characters from the popular “Pirates of the Caribbean” films were added into the attraction. July 7, 2006 – “Pirates of the Caribbean: Dead Man’s Chest” opens in theaters. May 25, 2007 – “Pirates of the Caribbean: At World’s End” opens in theaters. May 7, 2011 – Disneyland hosts the premiere of “Pirates of the Caribbean: On Stranger Tides,” the fourth film in the series. May 20, 2011 – “Pirates of the Caribbean: On Stranger Tides” opens in theaters. 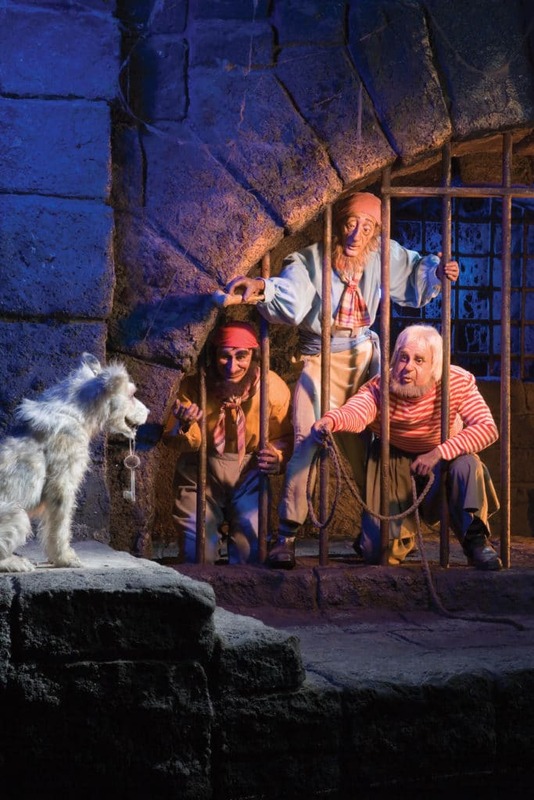 June 16, 2016 – Pirates of the Caribbean: Battle for the Sunken Treasure attraction and Treasure Cove themed land open at Shanghai Disney Resort. May 26, 2017 – “Pirates of the Caribbean: Dead Men Tell No Tales,” the fifth film in the series, opens in theaters. After a lengthy refurbishment, Pirates of the Caribbean attraction will re-open at Disneyland Paris in summer 2017 with the inclusion of Captain Jack Sparrow from the film franchise. Photo: Disneyland Resort, Paul Hiffmeyer.